I am writing to you on behalf of my sister, Andrea Brajak. Besides being the best sister anyone could ask for, she is the loving wife of John Brajak and daughter of Herb Rogers and Alice Lang. Anyone who knows Andrea understands that she is one of the most dynamic, charismatic, loving people you will ever meet. Andrea has the natural ability to draw you in and engage you in such a special way. Her big heart and vibrant personality motivate others to follow her while she leads the way in any task. Andrea is a true firecracker, not afraid to state her opinion with her convictions guiding her along her path! Andrea is also an excellent artist. Through sculpture and paint, she has the ability to capture the human condition and spectrum of emotion in which people experience. This earned her a scholarship at the Rochester Institute of Technology (RIT) to continue exploring her talents in college. Andrea has had several jobs in the helping field mostly working with children in the Day Care setting and managing a residential treatment setting for those adults that suffer from mental health diagnosis. Unfortunately, for the past several months, Andrea has not been able to work. She is currently awaiting her second heart transplant at Brigham and Women’s General Hospital in Boston, MA. 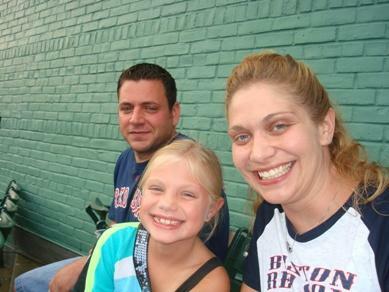 Nine years ago Andrea survived her first heart transplant. One year following the transplant she suffered a heart attack. A stint was placed into her second heart and through hard work and perseverance; she was able to successfully manage eight years. Unfortunately, her condition has worsened and she has been placed back into the hospital for the past three months. To help with this financial burden, a fundraising campaign in Andrea’s honor has been established with HelpHOPELive, a nonprofit organization that has been assisting the transplant community for 30 years. All donations are tax-deductible, are held by HelpHOPELive in the Northeast Heart Transplant Fund, and are administered by HelpHOPELive for transplant-related expenses only. Your contribution is greatly appreciated! Thank you so much. For credit card contributions, please call 800.642.8399 or select the DONATE NOW button. Andrea feels very blessed with loving and supportive family and friends who help in so many ways. Your prayers and contributions are truly treasured and will help us through this difficult time. Andrea, I have heard of your situation from your Mother-in-Law, Karen. Karen and I graduated from Somerville High School together in 1972. Karen noticed that I have a favorite crafty past time of knitting. She offered to pay for me to make you a prayer shawl, but I cannot take any fee for this honor. So, I have already picked out a pattern that spoke to me for you and found a yarn that I thought you might like and is soft! You will be in my prayers as I knit this for you and my knitting group will do the same, hold you in their prayers. Bless you and know that there are more people out there who care than you can ever imagine! Stay strong! 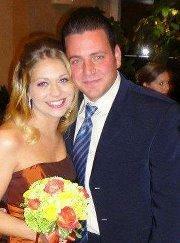 Andrea and John, From our family to yours, our hearts go out to you. We are praying for you to have the perfect match come in and help you to make a full recovery. I can only imagine the strength you have to keep a smile every day. Stay confident and positive. You have a lot of people thinking about you. Thinking of you often Andrea! You are in our prayers. Stay strong! HI, I'm a friend of Gregs my prayers are with you get well soon. Hey Andrea! You are doing great, keep it up! Thinking of you guy and you are in my thoughts and prayers. Take care of yourself and stay strong. Andrea, stay stong!! We believe in you and we will keep you in our prayers always! We all love you so much and I hope this helps things in any way possible..just know you are constantly in our thoughts. Love you! I knew she was going to need another transplant, but I didn't realize she had been in the hospital. Is there anything we can send to help keep her spirits up?